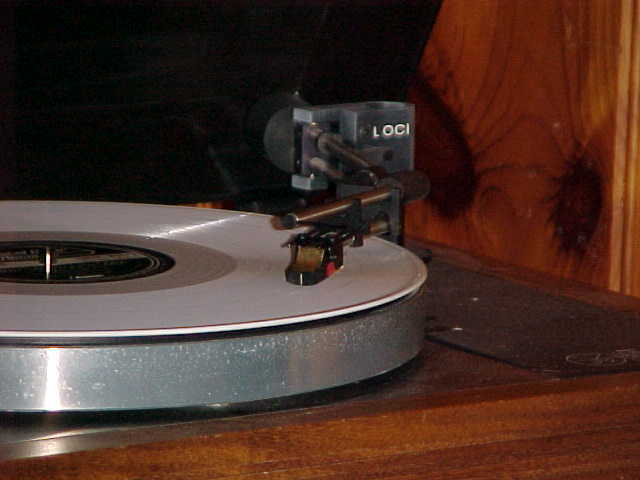 The LOCI tonearm was the product realization of a hifi vision I had in 1975. As a freshman in college, I had built my own tonearm out of Lego blocks (really! ), and I saw the Vestigal tonearm at Music and Sound Limited, Mel Schilling's ultra-high-end and pro audio store in Willow Grove, Pennsylvania. 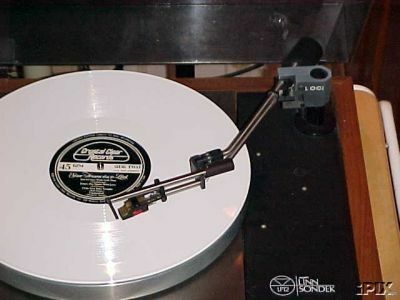 Along with the Dynavector DV-505, this was the inspiration for an articulated tonearm, separate vertical motion, with a parallelogram to keep cartridge motion vertical. This was the subject of my United States Patent Number 4182517, my original patent for the Articulated Parallelogram Phonograph Tonearm. A side effect of the parallelogram is a constant cartridge angle in the groove. The vertical tracking angle (VTA) (or stylus rake angle (SRA)) can be adjusted by changing the pitch of the parallelogram and the angle does not depend on record thickness. Many listening tests produced a VTA list in PDF or text. These were all done by seeing which angle sounds best on each record label. You tune one label in by ear and the rest should line up. Even if your own preferred VTA is not quite the same as mine, say you like the sound a bit more muted or a bit brighter, then the relative positions should still be correct. My original tonearm was made from Erector Set and paper clips with a nice gyroscope as the main bearing. With help from Mike Barry (Stanford Product Design), my concept became a real design, the LOCI tonearm. I sold about sixty of these tonearms in 1980 and 1981 and I see one of them surface every once in a while. It was not a financial success for a lot of reasons, some of which have to do with my lack of business acumen, some of which have to do with changes in the audio market. 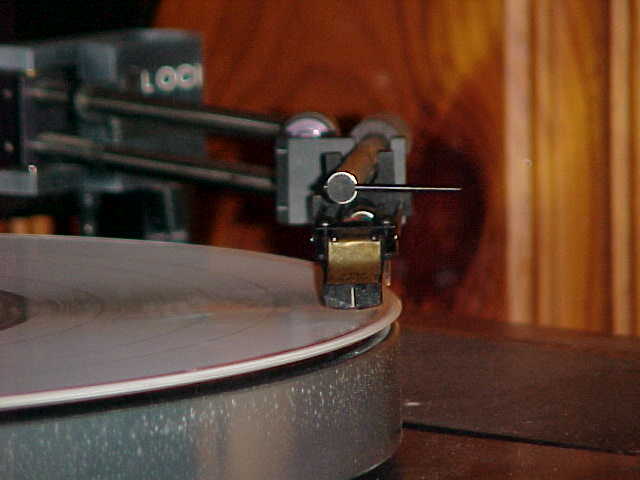 Linn came out with their own Ittok tonearm, so all their dealers were pressured to sell the Ittok, and the compact disk came out with all its associated hype. I took some pictures of the LOCI tonearm. They are big image files, so be patient if you decide to download them. Well, I finally made the big time. One of my LOCI tonearms turned up on eBay. It ultimately sold for U.S. $255. Here are two terrific Corey Greenberg reviews. Neither has anything to do with the LOCI tonearm, but they are wonderful reading for any audio weenie. 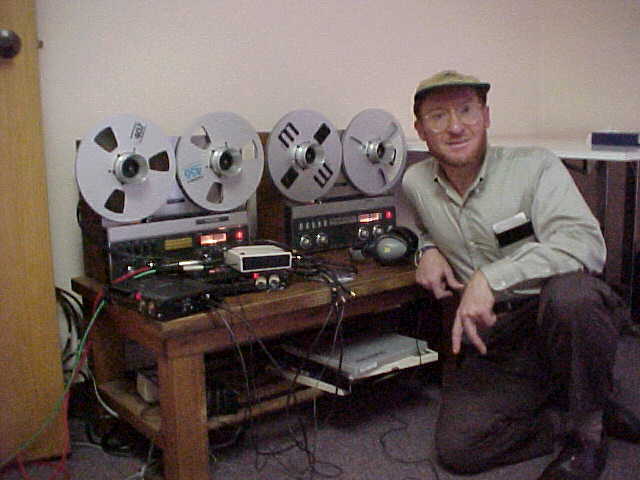 I also do some live recording from time to time, so here is a picture of me and my recording setup. Alas, I have no LOCI tonearms for sale. The few I have are buried in a box somewhere in my basement and I don't even know where they are. 5:05:24 Mountain Standard Time (MST). 16369 visits to this web page.